Full of freedom, this piece celebrates the woman finding her own path. 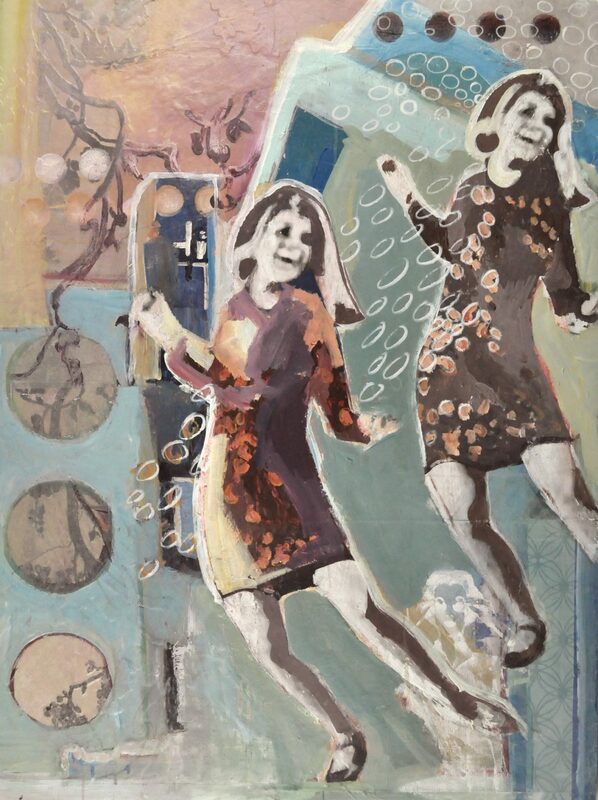 Inspired by a 60s girl doing the Twist, this piece brings to mind the fun and celebration of the moment. She is “unapologetically free”. Free to dance, free to find her world. As a repeated image, this painting brings to mind a contemporary vision of Pop Art.